Welcome to Day 83 of 100 Days of Disney here on The Purple Pumpkin Blog! Be sure to check out all of the other posts in this series, and if you would like to share your own Disney blog posts or pictures, make sure you check out our #100DaysOfDisney Link Party! This week it’s for Hercules – another of my faves and one which I only have on VIDEO!! The film is narrated in part by the Muses and begins with the Gods on Mount Olympus were celebrating the birth of Hercules, the son of Zeus and Hera. Hercules has great strength and receives many gifts including a winged horse called Pegasus. 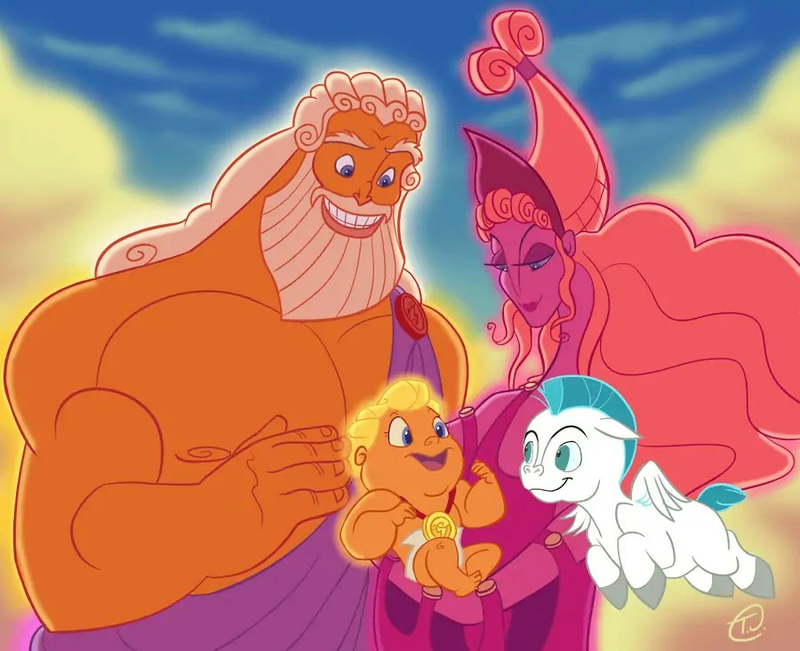 All of the other Gods are happy for the new arrival, but Hades (Zeus’ brother) is not. He plans to overthrow Zeus and rule Mount Olympus, so he visits The Fates, who tell him that in 18 years, a planetary alignment will help him to fulfil his plan. He will be able to release the Titans that Zeus had imprisoned beneath the ocean…but only if Hercules doesn’t interfere. Hades sends his minions – Pain and Panic – to dispose of Hercules by feeding him a baby formula that will make him mortal. 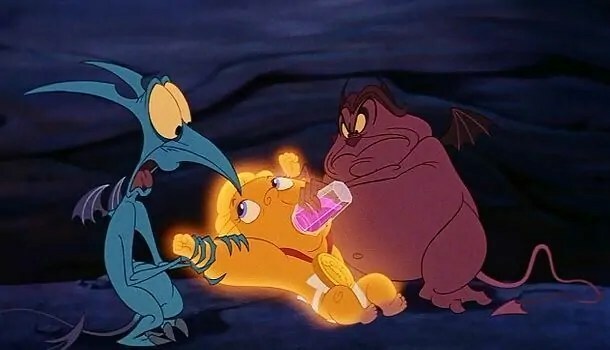 They manage to kidnap baby Herc and feed all but the smallest of drops of the formula to him – leaving him mortal but with his God-like strength. 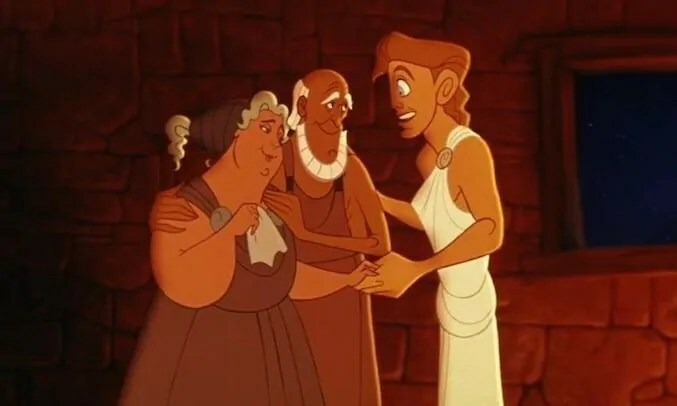 An old couple – Amphitryon and Aclemene adopt Hercules as their own after finding him abandoned. A teenage Hercules becomes an outcast because of his strength, and asks his parents where he came from. They reveal to him that he was a gift from the gods and show him the medal that was around his neck. Hercules decides to go to the temple of Zeus to look for answers. His father tells him that he can regain his Godhood by proving himself to be a true hero. Zeus then sends Pegasus to Hercules and tells him to seek out Philoctetes (Phil for short!) who is known for training heroes. 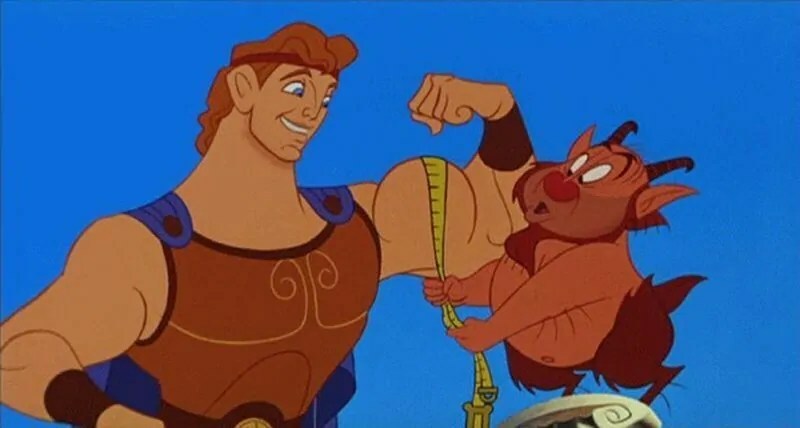 Phil has now retired, but Hercules inspires him to train a true hero that will be recognized by the Gods. 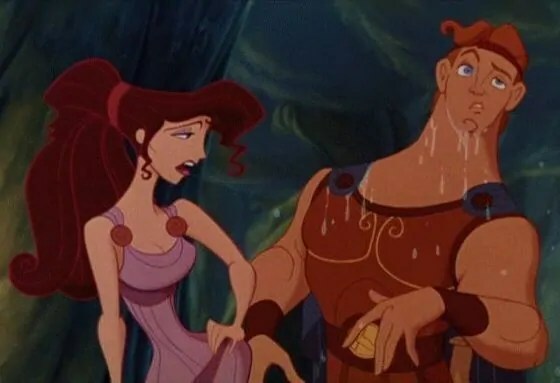 When his training is complete, they travel to Thebes and on the way, Hercules meets Megara (Meg for short) who is a sarcastic damsel in distress. 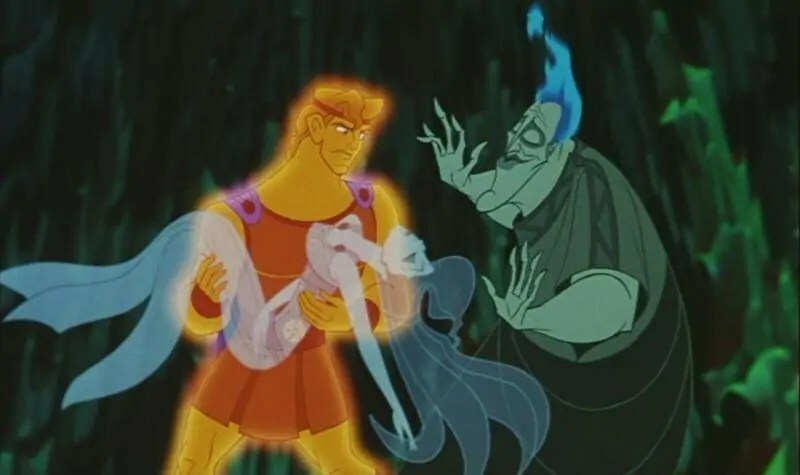 He rescues her from a centaur, and after the rescue party go on their way, it is reveal that Meg is one of Hades minions having sold her soul to him. Once in Thebes, Hercules is alerted by Meg to two trapped children (who happen to be Pain and Panic in disguise) and goes to rescue them. 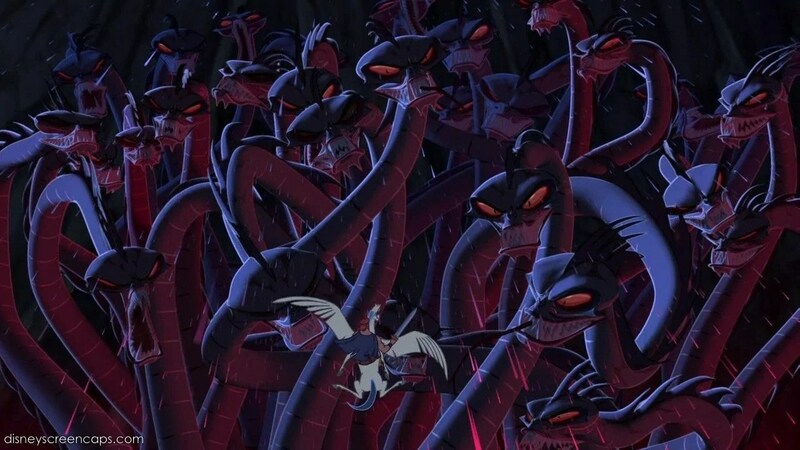 This gives Hades the chance to summon the Hydra to fight Hercules. As Herc cuts off one of the heads of the Hydra, another three grow in its place. He defeats the monster by causing a landslide which crushes the Hydra. The city of Thebes calls him a hero, but Zeus tells him that it takes more than that to be a true hero. 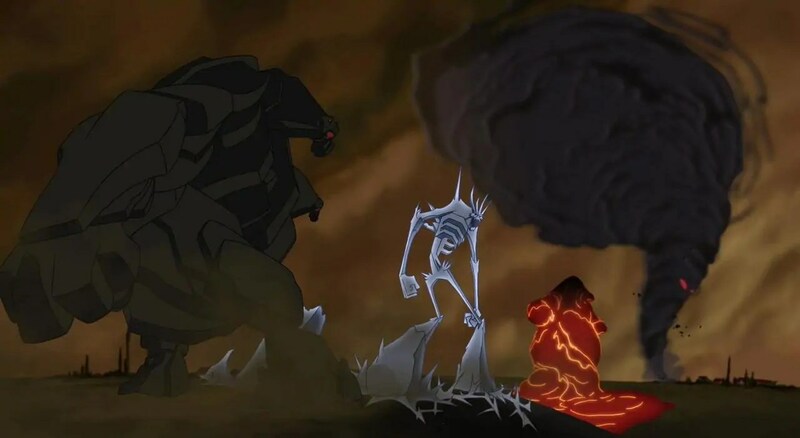 Meg has started to fall in love with Hercules, and seeing this, Hades offers a deal to him, saying that he will let Meg go free if Herc gives up his strength for 24 hours. Hercules agrees to this on the proviso that no harm comes to Meg in those 24 hours. The deal is done, and Hades is able to begin his takeover of Mount Olympus. He releases the Titans who scale Olympus, whilst a Cyclops heads to Thebes to kill Hercules. Defeated, Hercules allows himself to be beaten, but Phil then inspires him to fight. In the final throws of the battle between Herc and the Cyclops, Meg is crushed by a falling pillar. As this has broken the deal, Hercules regains his strength and is able to free Meg.He flies to Mount Olympus and frees the Gods, who defeat the Titans. 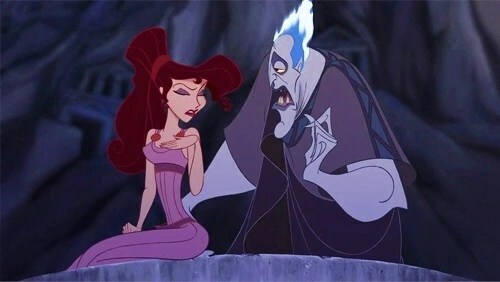 Meanwhile, Meg dies and her soul now belongs to Hades. Hercules breaks into the underworld and negotiates with Hades to rescue Meg from the River Styx, where her soul is swimming for all eternity. Knowing that entering the Styx will kill Hercules, Hades agrees. Hercules dives in, and he, himself starts to die…but this one true hero act, to sacrifice his own life, revives the God in him and he rescues Meg. Punching Hades into the river. 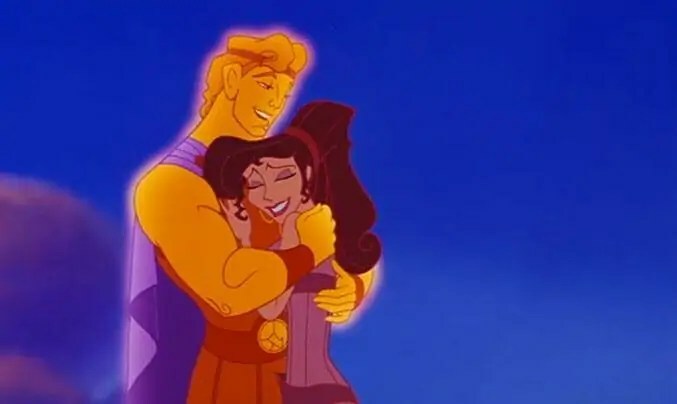 Meg and Hercules are summoned to Mount Olympus, and welcomed home by Zeus and Hera, but their son decides to stay on earth with his love, Meg. 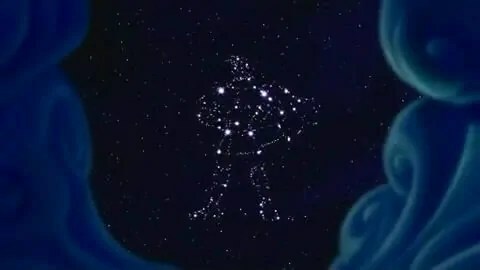 They return to Thebes where Hercules is hailed as a true hero, and to commemorate his heroics, Zeus creates a picture of his son in the stars. “Go the Distance” was nominated for both the Academy Award for Best Original Song and the Golden Globe Award for Best Original Song, but ultimately lost both to Celine Dion’s hit “My Heart Will Go On” from Titanic. a video game based on the film was released for the PlayStation and Microsoft Windows in 1997 – it was the first game I ever played on the PlayStation!! there are many differences between the film and the original myths. 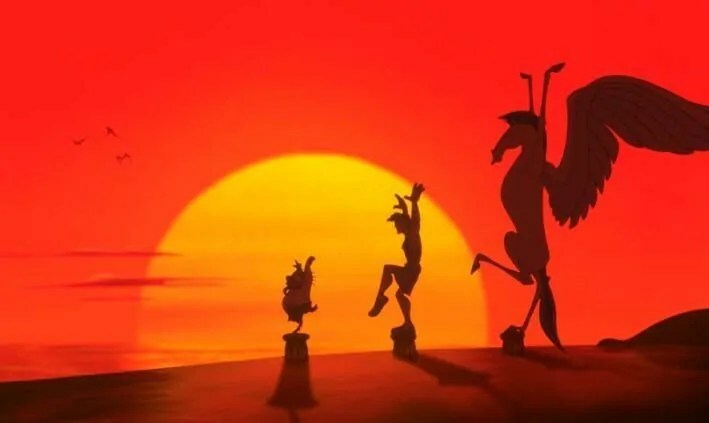 the film was released due to backlash against the previous two Disney releases of Pocahontas and hunchback of Notre Dame, major criticisms where that they where too “Dark” and dealt with “serious issues” Disney shouldn’t use in their animated films. so Hercules was released to lighten things up. Greek Mythology – my dad is Greek Cypriot, so I was read these stories as a child, so I have a soft spot for this movie because of that! 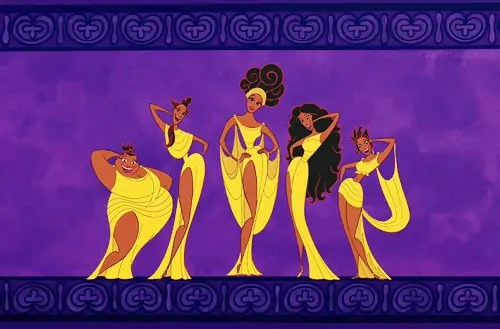 The Muses – I love the gospel style of the tracks that they sing throughout the film! Zero to Hero is fabulous! And it’s the BEST montage song! Hades – he might be the bad guy, but he is HILARIOUS, and James Woods is the perfect voice for this character. Go The Distance – an awesome Disney song! Day 83 of #100DaysOfDisney is done – 17 to go!